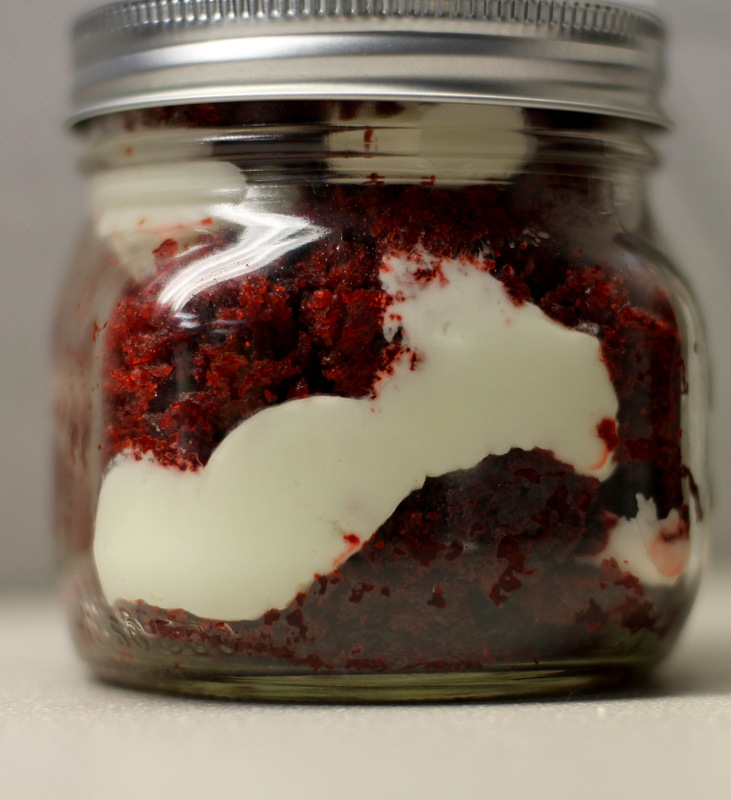 I love putting together pretty little jars layered with cake…filling…frosting….it’s so pretty. It is fun to do and it makes a great gift. Who doesn’t like a jar filled with deliciousness! 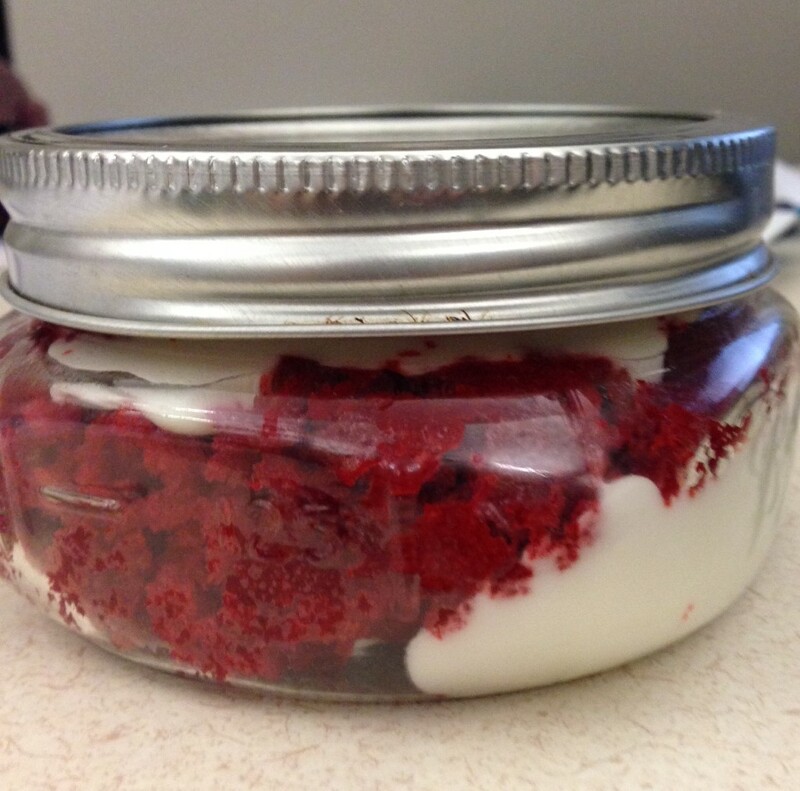 Last night I had dinner with a friend and I gave her a wee bit late birthday gift of one of my jar cakes. It was a BIG jar….unlike the little ones here in the picture. It was the equivalent of about 10 cupcakes. I wish I had taken a picture, but I forgot. It was so purty with the layers of red velvet cake and buttercream cheese frosting. I got the feeling that she was pretty happy with it. Right Paula? I hope you enjoy it. There are so many things that you can do with these mason jars. Some people make pies, some people layer candies. 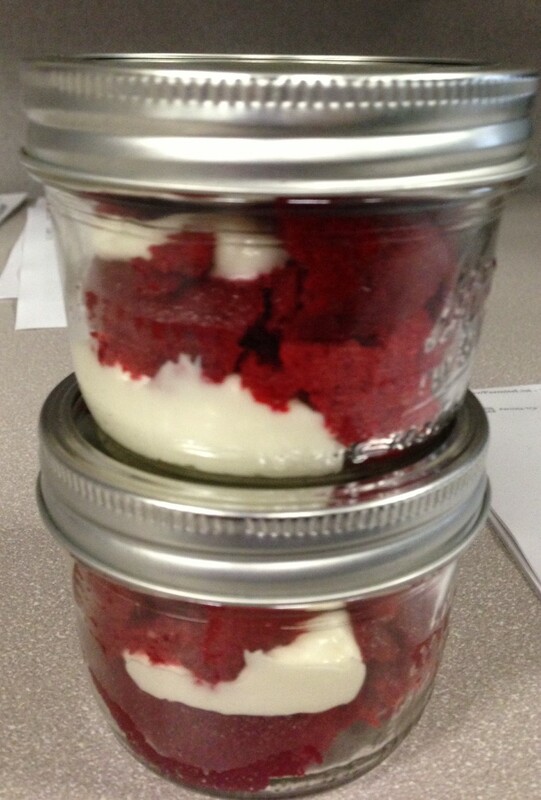 My friend Patrice makes orange cheesecake jars. Now THAT, sounds delicious. 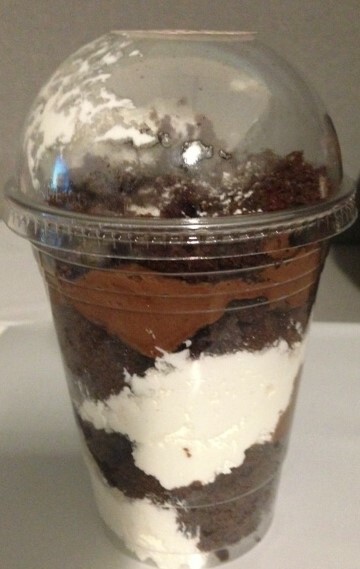 I have even made Oreo cookies and cream pudding layers. How about a S’mores jar?? 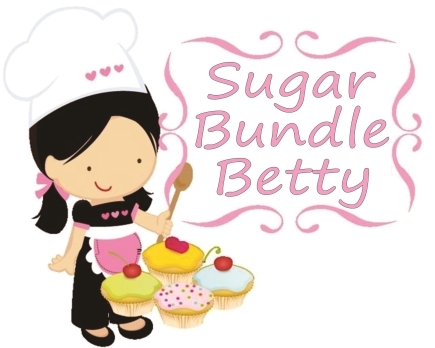 YES, my daughter lil Sugarbundle would love that one. So many things that you can do! So buy some jars and get creative. Just use your favorite recipes and put those jars together. Have fun!! Those look tremendous! That would totally make my day. Oh! Oh! Oh! It was amazing! AMAZING! I think I may have gone to heaven! Paula, glad you enjoyed it. Boy these look yummy!!! Lucky Paula!! Little jars are portion control!! Unless you eat more than one!! you are right Patrice. I prefer the large mason jars. hahahhahha.